Finding The Way Home from where it all began. The Fort Wayne-South Bend Diocesan Heritage Pilgrimage is a three day journey through the founding of the Diocese. During this pilgrimage we will explore the sites in Kentucky and Indiana that led to the formation of our Diocese! From the first Cathedrals in the Midwest and Indiana to the homes of Religious Life at Saint Meinrad and Saint Mary of the Woods, we will track the formation of the Catholic Church in Indiana following in the footsteps of our forebears all the way back to Fort Wayne and South Bend! 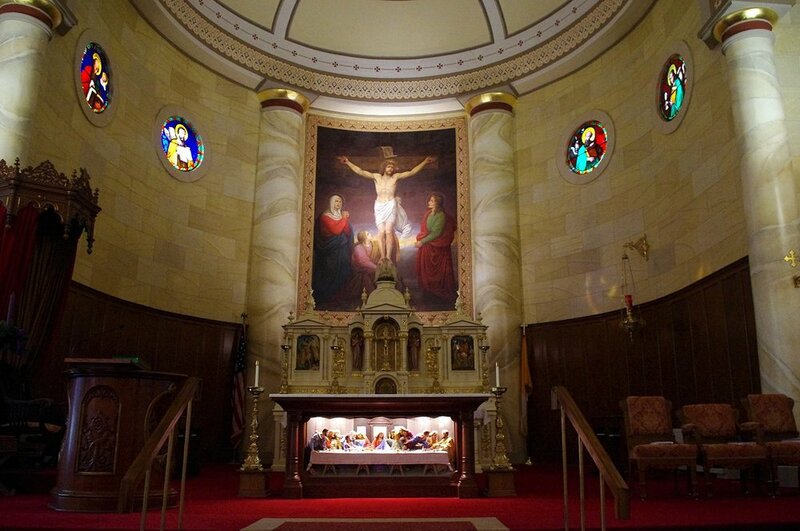 St Joseph Proto-Cathedral is the original seat of the Bishop of the Midwest. When the Diocese of Bardstown was founded in 1808 as the head of Catholicism in the territories that were not yet states, (including Fort Wayne and South Bend). The Cathedral of the Assumption was the successor to St Joseph Proto-Cathedral as the Diocese of Bardstown became the Diocese of Louisville. Although the region of Fort Wayne and South Bend was never underneath the (Arch)Diocese of Louisville, it is still home to many of the same families that used to be part of our old diocesan family. Saint Meinrad Archabbey was founded three years before the Diocese of Fort Wayne-South Bend. It is the home of a group of Benedictine Monks who were at the heart of the spread of Catholicism throughout the state of Indiana. The Old Cathedral in Vincennes is the first home of Catholicism in Indiana. As the seat for the Diocese of Vincennes, this home for Bishop Simon Brute was at the heart of the founding of both the Diocese of Fort Wayne and the University of Notre Dame. The Shrine of Saint Mother Theodore Guerin is the home to the first Indiana Saint. She was at the heart of Catholic education throughout the entire state and was in charge of sending out many of her sisters to schools around Indiana. Please note: All times shown are on Eastern Time. However, Saint Meinrad is on Central Time and therefore all times shown here will be an hour ahead of what the time will be there.